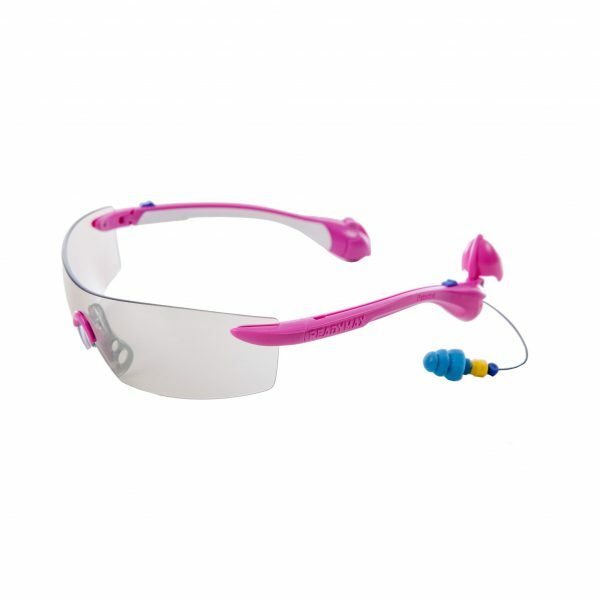 ReadyMax Women’s Sport-style Safety Glasses have a slightly smaller fit than our men’s Sport-style glasses. They feature our patented safety eyewear and hearing protection combination and offer a sleek, wrap-around silhouette for an active lifestyle. Perfect for outdoor use, these glasses are constructed with polycarbonate, anti-fog, scratch resistant and impact resistant lenses that absorb 99% of UV rays and ready to use, retractable PermaPlug earplugs that provide NRR 25 noise protection.